My mom tried one of my chocolate chip cookies and said, “Hey, maybe you should teach me how to make these.” Me teach her??? My mom smokes slabs of bacon for fun, bakes her apple pies from scratch and experiments with foods like fried mashed potatoes. I practically pinched myself when she asked for my recipe. Still, everyone asks for my chocolate chip cookie recipe. At least three people have said they are the best they’ve ever had. A friend of a friend even decided that a batch of these cookies was an acceptable trade for his refrigerator. In case you haven’t gotten my point, these cookies are kind of a big deal. So what’s the secret? And why am I sharing? I’m sharing because homemade chocolate chip cookies are THE BEST. Nothing compares to a warm cookie fresh from the oven- each bite so delicate it folds on itself, soft and chewy and buttery all at once with gooey chocolate chips that melt away on your tongue. 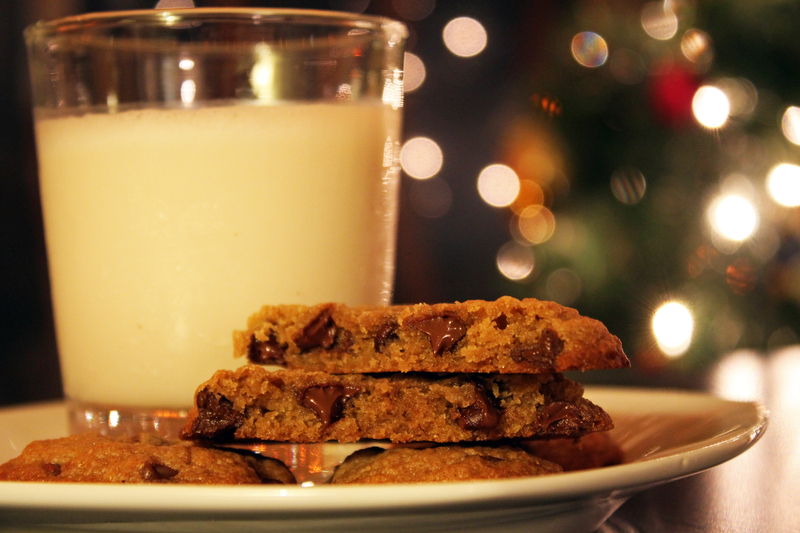 Homemade chocolate chip cookies can make anyone’s day a little better. The secret is all in the butter, and not necessarily the amount you use. Unlike most recipes, this one has an extra step to brown the butter which adds a distinct toffee flavor. Now here’s how to make them! 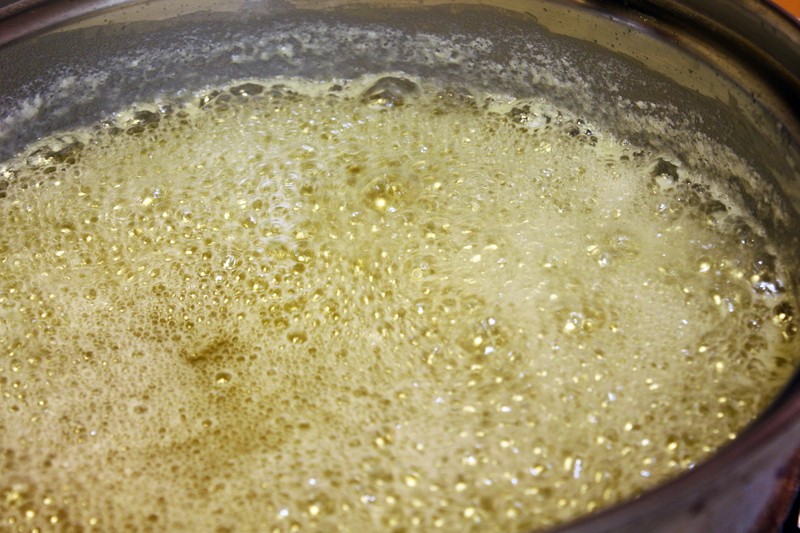 Heat 8 tablespoons of butter over medium-high heat in a medium sized stainless steel pot until melted. 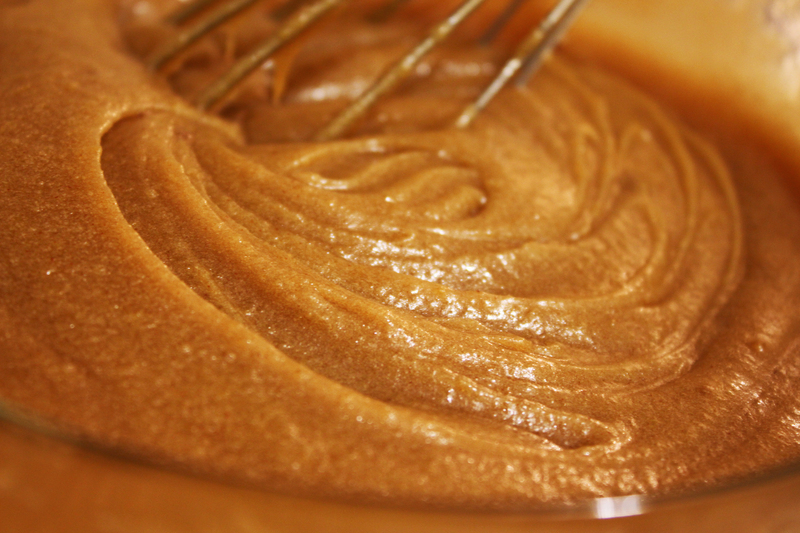 Stir butter constantly until golden brown with a butterscotch aroma (butter may start to bubble over. If this happens, remove from stove top and lower heat, then return and keep stirring so it doesn’t burn). Transfer to a large heat-proof bowl, and add remaining 4 tablespoons of butter, stirring until completely melted. Whisk brown and granulated sugars, salt, and vanilla into the butter until fully incorporated. 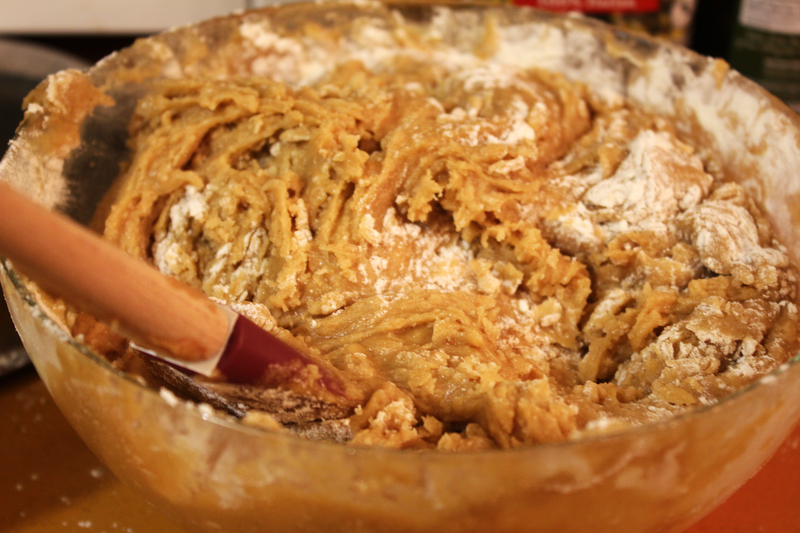 Add egg and egg yolk, and whisk until mixture is thick and smooth like below (no lumps of sugar). Using a wooden spoon or spatula, mix in flour mixture until just combined (try not to overmix, or your cookies may turn out too cakey). 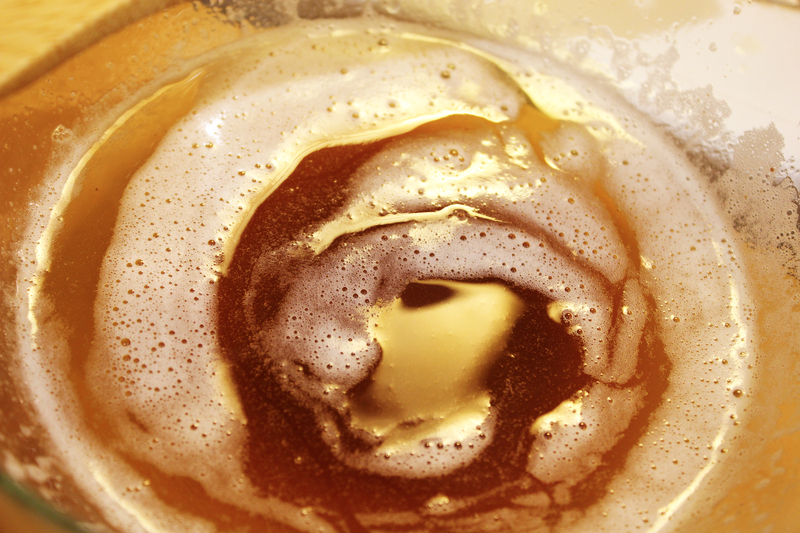 Do your best not to eat all the delicious batter. 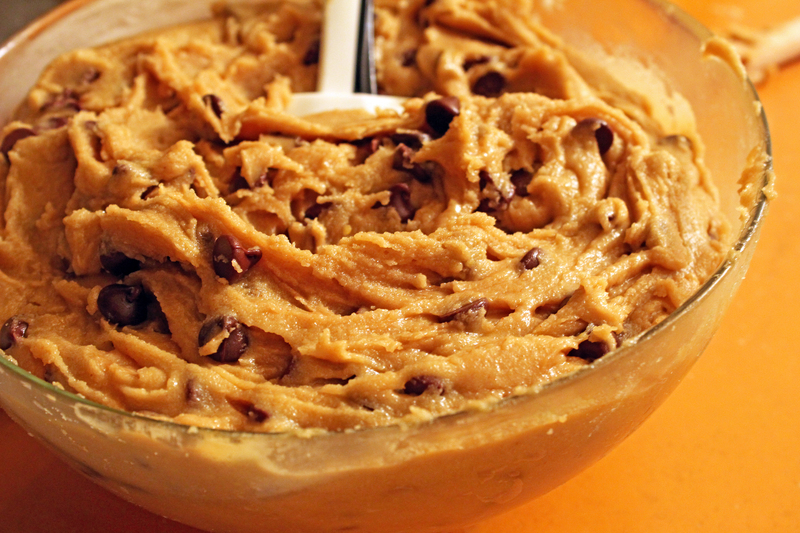 Chocolate chip cookie batter, ready for the oven! Scoop up balls of batter with a spoon (about 2 tablespoons for small/medium sized) and arrange on baking trays in rows with about an inch and a half apart between them, as they will flatten out and expand in diameter. Bake cookies 1 tray at a time, roughly 10-12 minutes, until golden brown. They should look puffy with edges set and slightly browned, and the centers should still be soft (but not in the uncooked sticky way). Transfer baking sheet to wire rack to cool. 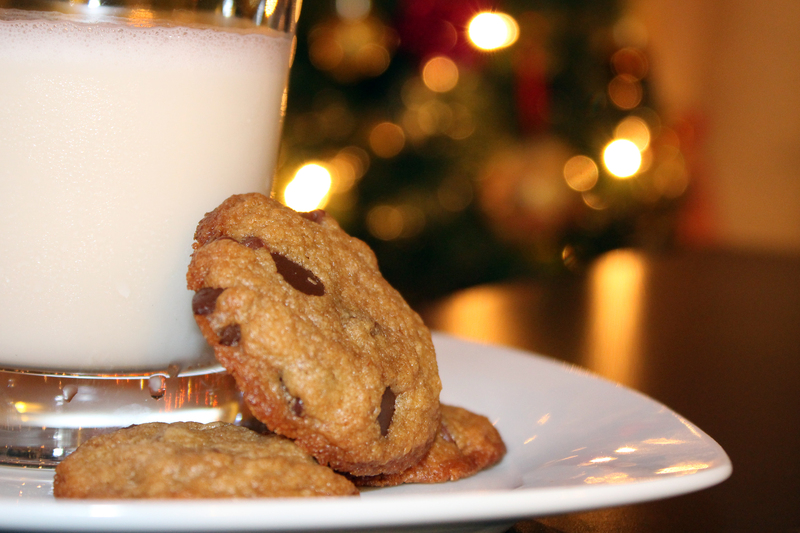 Wash cookies down with a glass of cold milk and enjoy! The perfect chocolate chip cookies with crispy edges and soft, gooey centers. 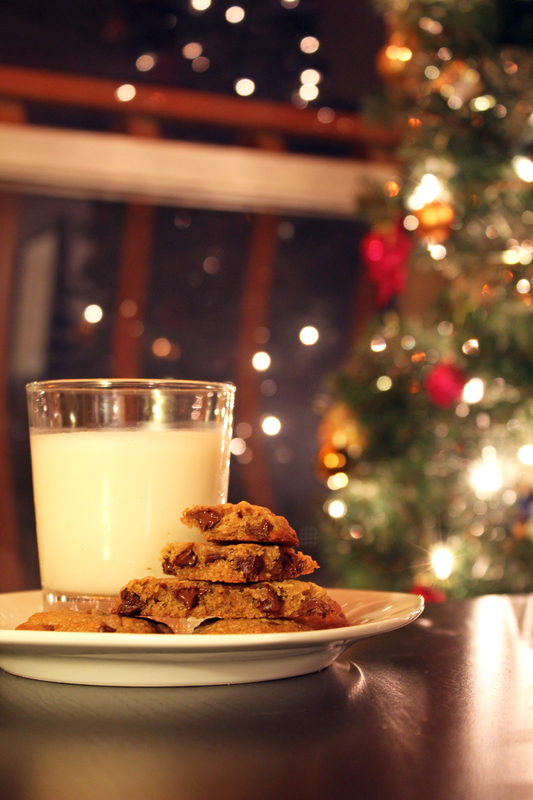 What wouldn’t i do to sink my teeth in those delicious cookies. Thank you for sharing the secret. Oh, this looks delicious! I will definitely try it! These look delicious!! I can’t wait to try out the recipe. Mmmm brown butter! They look yummy!